Are you planning for your engagement ceremony? Would you like to make your event even more special? If your answer is yes, then you are on the right website. Propose your beloved one with a custom engagement ring and show your love in a unique manner. All you have to do is to choose the right custom jeweler for you and then select the design of engagement ring as per the style and personality of your partner. Now you can amaze your life partner with a perfect custom engagement ring. If you are living in Toronto, then you will be glad to know that Design by Sevan is the best place to buy engagement ring. You must be thinking what’s so special about Sevan Tosun, who is the owner of https://designbysevan.com/. Well! Sevan is a professional and well-experienced jewelry designer who is renowned for his custom engagement ring designs. At Design by Sevan, you can find a variety of custom engagement rings Toronto. No doubt, numerous elegant rings are available in jewelers’ shops everywhere but still there are countless reasons to select a custom engagement ring. Having a custom-made engagement ring means that you are engaged in each step of ring selection. In this way, you can control everything ranging from budget allocation to styles and stones selection. Of course, it will be a wonderful experience to have a custom engagement ring that is 100% yours. It’s one of the best feelings to have a ring which is specially made for you. Engagement ring is considered the most precious thing, so by having a custom engagement ring doesn’t only mean uniqueness but also something very special. You don’t need to be artistic or creative to give order of a custom-made engagement ring. Simply share your ideas with a jewelry designer who specializes in custom engagement rings Toronto. You will be having a lot more choices if you choose Design by Sevan as we can make any design of engagement ring for you. 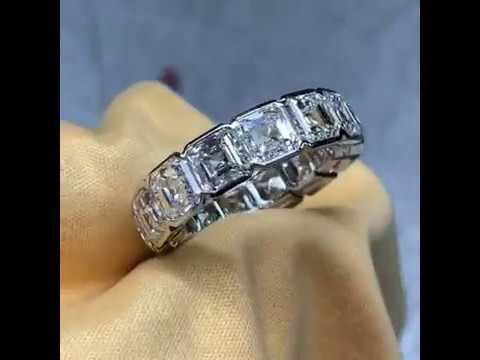 It’s your own choice whether you go for solitaire engagement rings, pave/side stone engagement rings, color stone engagement rings, or halo custom engagement rings Toronto. If you are willing to buy a diamond ring, then you must consider 5Cs i.e. cut, colour, carat, clarity, and certificates. All of you will be delighted to know that Design by Sevan proposes diamonds that are certified by GIA, which is the only authority to certify diamonds throughout the world. We believe in providing high quality custom engagement rings Toronto that’s why we never compromise on the quality of our products. At our jewelry studio, we will provide you a relaxing and personal environment that will help you make the right decision. Creating a customized engagement ring is such an engaging and exciting process where you are consulted during each step in order to transform your ideas into a beautiful custom engagement ring. Now you can get your dream engagement ring within your budget if you choose Design by Sevan. Sevan will work with you, either at his studio, or online, to deliver exactly what you want. Thanks for best guidance. It’s really help me to choose ring. Amazing! It’s in fact awesome article, “Latest Jewelry Trend” because of we are supply of jewellery materials. Your blog is such a motivational stuff who help to choose right custom jeweler. Thanks for this type of post. Thanks for sharing this.